There are no comments for Automotion Van . Click here to post the first comment. 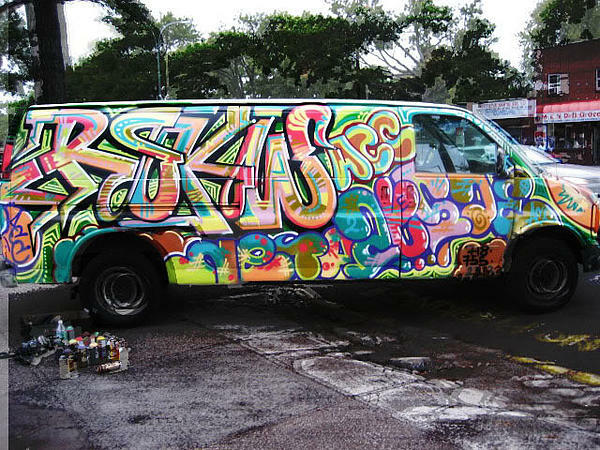 A van i painted all the way around in Queens, NYC. The main piece reads RSKW ACC. Under it is NETA. On the ground next to the back wheel are all my spraypaints. My name is Miles Wickham, and i am also known as the graffiti artist RESKEW. I'm a self taught artist. I got into graffiti in high school in Brooklyn, NYC, when i was 15, in 2000. In 2007 i realized the limitations in self expression i had developed by being so immersed in graffiti, and went on a quest to discover the purest form for me.